I have a serious obsession with candles, not just at the moment but all the time. After a cheeky few purchases I thought I would share with you my favourite ones for the up and coming seasons, there are two sweet scents that you class summery but I love them for autumn! 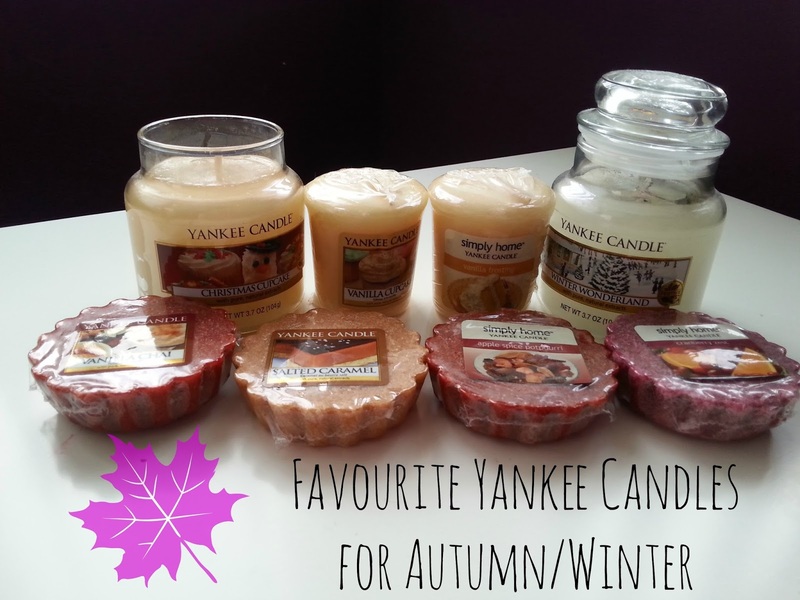 First up we have two sweet scents that I love burning in the autumn as I think that they are great for the summer into winter transition. Vanilla Cupcake has a delicious and sweet smell to it, and very rich vanilla smelling! When I first heard the name I wanted to buy the big jar, but then I thought that it may be a little too sickly! So, I decided to just stick to the sampler to see how the smell does. 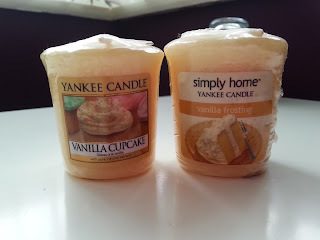 Vanilla Frosting is one I bought from Tesco so it was slightly cheaper than normal, again a very sweet vanilla smelling candle however isn't as strong smelling as vanilla cupcake, this is great if you don't want something heavy smelling and just a sweet note. 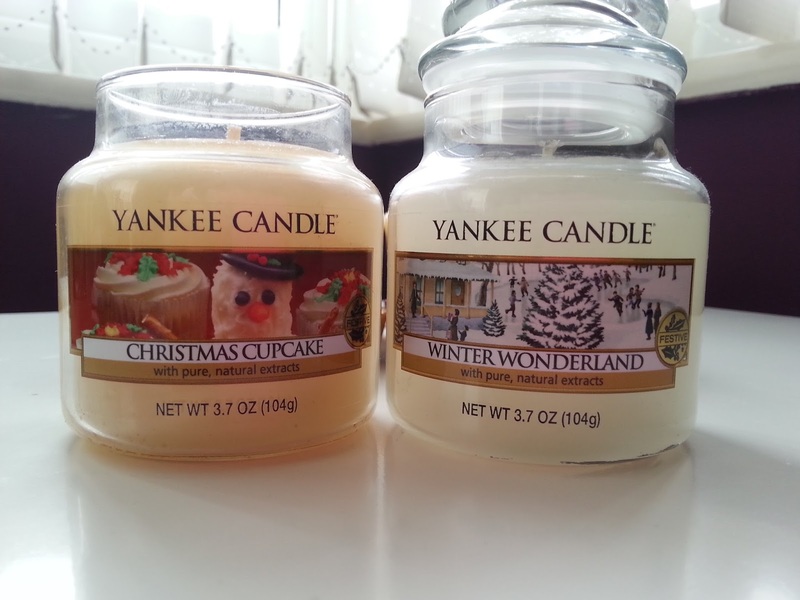 The next two, were kindly gifted last Christmas to me and I love them for the winter winter time. By this I mean in the run up to Christmas and after as well. I have burnt a little bit of each last year to get a sense of smell and I love the way they just fill the room with this scent. Christmas Cupcake has to be my favourite scent for Christmas, it just makes you feel so cheerful and happy and makes your house smell like a cake making factory! This doesn't smell sickly either! Next is Winter Wonderland, this straight up smells like fresh pine. I love the smell of pine, oak and real christmas trees and this is all them smells in one compact jar. You seriously can get the house smelling all cosy and warm with this scent of wonderland. I have always loved burning tarts, they last for a super long time and they are a great way to test whether or not you are going to like the smell. 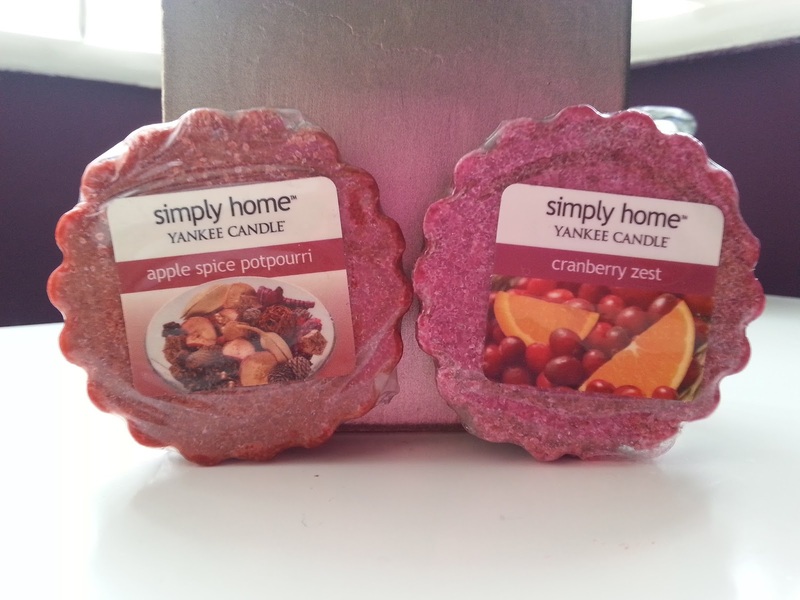 These are ones again purchased from Tesco smell just amazing, Both are very spicy scents that are perfect for the fall time as they just fill the room up with all these amazing smells and makes the house feel very cosy and warm. If you like your strong, infusion scents then these are both for you! And finally, are two fairly new tarts to the growing collection. 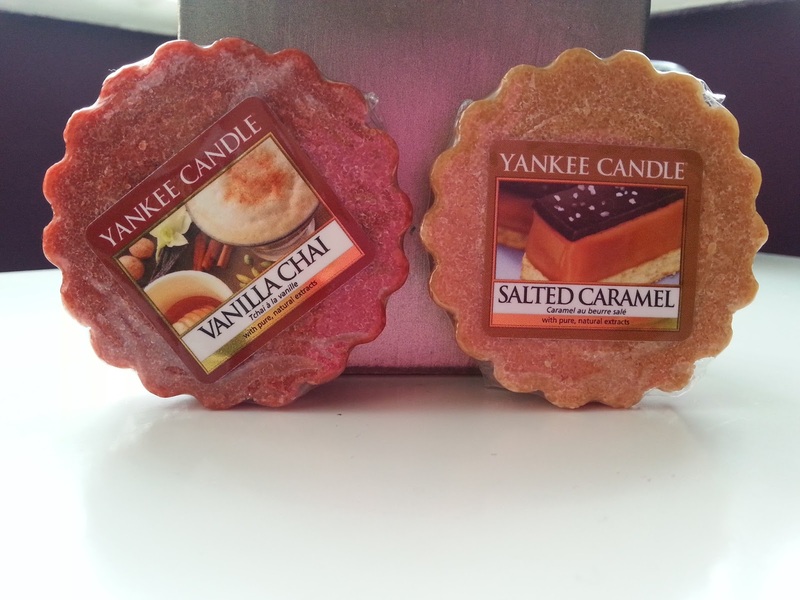 On the left is Vanilla Chai which just smells heavenly that I can't honestly wait to burn it! And on the right is my favourite candle scent ever! 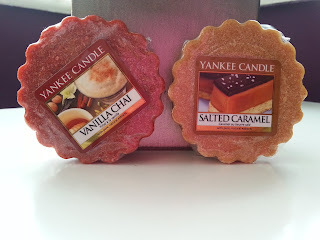 Salted Caramel just smells amazing and it isn't too sweet smelling either as there is a hint of salt.